It has been a long time since I have posted here, but I have pledged to participate in the first National Readathon Day. I plan to read The Sense of an Ending by Julian Barnes. Warning: contains major spoilers for Small Favor and Turn Coat. Also, there's next to nothing about Michael Carpenter, which is astonishing and very unrealistic given what happened in Small Favor. One of Harry's greatest allies who nearly died in the last book is mentioned exactly once, indicating that he's crippled. No mention of Harry going to visit him to see how he's doing? No discussion of where Amoracchius is going? Heck, no suggestion about his potential for recovery? Additionally, the twist about LaFortier's killer at the end doesn't stand up to any sort of scrutiny. If both of them were to be framed, then why have the money only sent to Morgan's account? To me, the Black Council reveal also felt a little cheap, like Butcher had painted himself into a corner about who it couldn't be, so it ended up being someone we had no emotional investment in whatsoever and, indeed, had only encountered within this novel. As such, the person kind of sticks out. 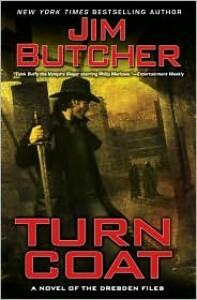 While I was reading this one, I had the sense that Butcher wasn't as engaged or committed to writing it as he has been for many of the Dresden books, and I think I can speculate as to why: I looked back at the endcaps for the previous Dresden titles, and this is the first book that includes an Author's Note about his Codex Alera series. Obviously, if he's splitting his time between putting the wheels in motion to get that published and generating ideas about that world, he's not going to be quite as focused on Harry, which is understandable, but it was noticeable. 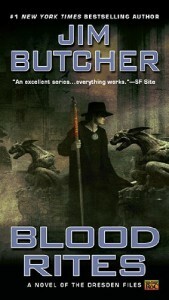 I've pretty much been reading this series based on the recommendations of three people, and since I'm this far into it, I suppose I'll complete it up to the current publication, but I am concerned about the quality of the Dresden books from here on out, since Butcher's attention is now divided between two series. Usually when that happens, the older product receives less of its creator's energy. We'll see. Is anyone else having difficulty assigning a rating? I've just finished reading two books. When I click the book's image and then click Read in the window, it's not letting me assign a rating. Barnes & Noble is my current search provider, although I had the same problem with Powell's as my search provider. Is anyone else unable to assign a rating through this window? It's remarkable how much the quality of individual work can vary from that of collaborative efforts, sometimes for the better, and sometimes for the worse. I have read solo efforts by both Douglas Preston and Lincoln Child, and I think they are much better as a team. I found Terminal Freeze disappointingly predictable, to the point that I almost felt that I could've written the outline. I think it's okay for a writer to have a standard formula, but the formula alone doesn't bring a story to life, and this one feels phoned in. 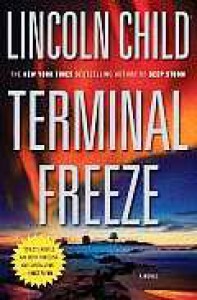 I generally enjoy Lincoln Child's work, and I'll probably give another of his solo titles a chance, but in the spectrum of the books I've read by him, this may be the defining point for the low end. "Who can begin conventional amiability the first thing in the morning?" 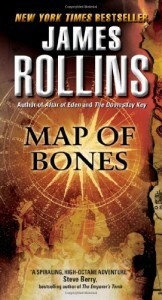 Map of Bones is the first book I've read by James Rollins. It was well-researched, and the ideas were entertaining. That being said, I have a few tiny nitpicks with the book. Rollins appears to suffer from Cool Fictitious Character Name Syndrome, to the point that I was eyerolling a bit over some of them, which I felt crossed the line into cheese. Grayson "Gray" Pierce. Rachel Verona (for the female Italian character). Logan Gregory. Painter Crowe. Monsignor Vigor. Kathryn Bryant, who was nicknamed "Kat" possibly for the primary purpose of making a little joke later about "Kat toys." As I say, it's a minor issue, and not something that would prevent me from reading another book in the series, but I did find it smirkworthy. Again, it's a tiny thing, and bookmarks work just fine, but I found the structure of the book a little annoying. The chapters are exceedingly long. While they do include time demarcations within them, such as "1:34 pm," it can be hard to feel like one has reached a good stopping place, particularly in an action-packed title like this one. There are a few minor typos, grammatical errors, and odd word choices and phrasings. Some of these may be related to formatting the e-book (there are a few places where two words are crushed together without spaces, likethis, for example). In my opinion, the climax suffers just a touch from deus ex machina, which I found a bit unsatisfying and vague, given all the detailed information we'd been provided along the way. I found both of the romances very tacked-on and ham-handed ... one of them even implausible, given events that transpire in the second half of the book. There was no real need for it, and to me, it felt squeezed-in between the numerous confrontations. Really, it seemed like the author felt obligated to include it in the hope of an eventual Hollywood movie. This is perhaps my most legitimate annoyance with the book. I felt that the characters overexplained things frequently: there were numerous bits of dialogue where Monsignor Vigor broke down a puzzle for another character when the reader had figured it out four pages ago. I thought the exposition got a little heavy at times, but I suppose authors these days factor in readers having to put the book down at any given moment and want to make it easy for them to pick it back up without having to flip back to figure out what's going on. Nitpicks aside, I found the premise of this book quite engaging, and while some plot points and characters are a bit over the top (such as the villain), I think that's okay for a romp in the adventure genre. The theories related to archaelogy, religion, mysticism and alchemy are what really caught me -- for me, that was the best part of the content. I think Map of Bones is a good choice for a vacation read, if you're looking for something that's interesting without being too mentally heavy. I'd rank it above Dan Brown and perhaps just a hair below some of Preston & Child's better work in terms of overall quality. 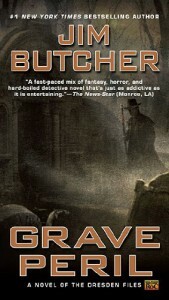 I'm three books into The Dresden Files, and I consider Grave Peril the best of the series so far. It establishes more of Harry's background, but manages to still keep things moving, and there's precious little of Murphy, which I count as a plus. Michael Carpenter is a fun addition, and a nice foil to our rumpled protagonist. 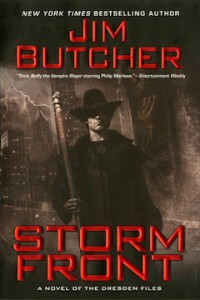 This is the book that makes me want to read more of Jim Butcher's work. I mention that because I can now see why this book appeals to such a wide cross-section of readers. I don't think I've turned pages like this since Preston and Child's Relic -- Collins' characters are in constant danger; death could come from anywhere. There's nothing leisurely about The Hunger Games: it's tense and suspenseful enough to keep most readers engaged long past their bedtimes. Despite its lack of understatement, I found The Hunger Games to be an interesting and compelling tale of surviving a system where the haves control and oppress the have-nots, and I look forward to seeing a few mysteries explained in the second and third books in the trilogy. 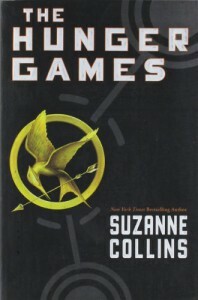 I've already started Catching Fire. Pros: Realistic portrayal of a post-divorce dynamic; fairly accurate (if somewhat glossed-over) depiction of cancer treatment; excellent descriptions of the world of Tamarisk. 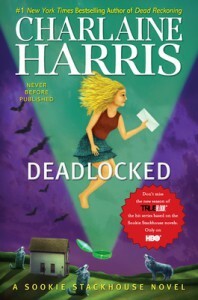 Cons: Disappointing (for me) ending; for me, the author's frequent references to real-world personalities and content often knocked me out of the narrative and broke the fourth wall.Although it isn't specifically labeled as such, as several other reviewers have said, this seems like young adult fiction. I found the story reasonably engaging, but the swift resolution and the ending's message didn't sit well with me. 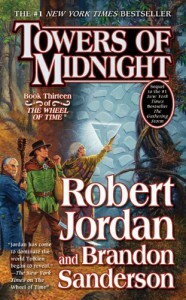 I'll avoid spoilers, but there's a detail in the last few pages that changed my perspective on Tamarisk in a way that soured me a bit on the book.Also, I disagreed with the writer's decision to mention Britney Spears, Johnny Depp, and other details that firmly set the time frame of this narrative. I think authors who choose to do this run a strong risk of dating their book prematurely. 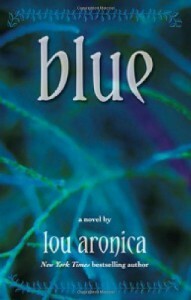 Blue isn't a bad book, but it isn't a great one. Hindsight being what it is, I would've preferred to invest the same time in reading a title with a more satisfying resolution. It's unlikely that I'd recommend it. I'd been advised by several friends to "give this series time." From disparate peer groups that do not interact, I'd heard "it gets better." 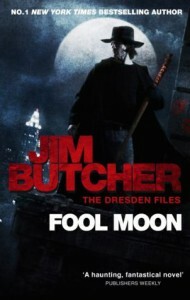 If that's so, I'm looking forward to the next Dresden book all the more. Because, honestly, I thought this one was quite entertaining. It's true that the villain is obvious fairly early on. The naming of the NeverNever sounds a bit childish to me, and the whole soulgazing thing seems a bit awkward to me. Murphy seems somewhat thinly drawn at this point. However, these are likely just tiny smudges on a gem that will become more polished with each successive novel in the series. These books have a lot of personality, and I appreciated the way Butcher sketched out the details of Harry's world. He could've left out a lot of atmospheric details, assuming that most readers have some sense of what Chicago looks like, but I'm glad he didn't: his language makes it Harry's Chicago, and cocoons readers in the wonderful, gauzy rain of a genre that's new to me: magical noir. I appreciate the sense of humor and warmth that pervaded Storm Front, and I look forward to getting to know Harry, Murphy, Bob, the White Council, and Dresden's Chicago even better as I progress through the series.